The Kingdom of Tonga, in the South Pacific, is spread over 1000 nautical miles and divided into 3 groups: Tongatapu, of which its’ capital is Nuku’alofa, in the South; Ha’apai at the center; and Vava’u in the North. Vava’u lies 240km north of Tongatapu and consists of over 50 islands, Eueiki being in the center of the island group. Your international flight will arrive at the Fua’amotu International Airport in Nuku’alofa, the capital city of The Kingdom of Tonga which is located on the main island of Tongatapu. TBU is the airport code for our international airport. The schedules for the international flights into Tonga do not connect immediately to the domestic inter-island flights. Therefore, we recommend the Scenic Hotel for your Pre and Post Accommodation. Please click here for further information. Note: Tonga is located on the date line and we are the first nation to see the new day! So, if you are coming from Europe or America please note that we are a day ahead which means that you will lose a day coming but will regain it when you go back home. It is approximately a one-hour flight to get to Vava’u. Contact www.realtonga.to to book your inter-island flights. Please note that there are no inter-island flights on Sundays. ADULT FULL FLEXI FARE: TOP$620 round trip TBU/VAV/TBU. The airfare may suffer changes so please contact Real Tongan Airlines for accurate fare prices. Lower airfares may apply. Please be aware that there are no international or domestic flights in Tonga on Sundays. 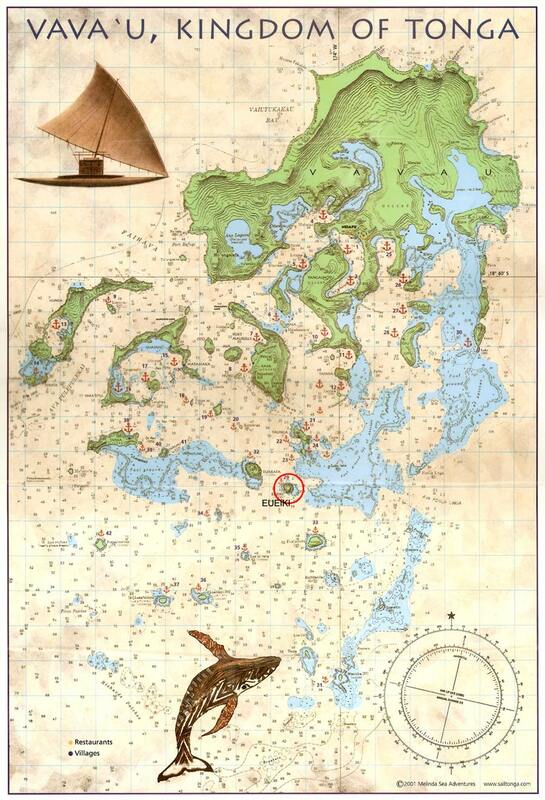 We have discovered that Tonga has an incredible, untold maritime history that is unknown. In their past the Tongans have achieved many endeavors as a seafaring nation. Tonga is the first nation to see the new day. 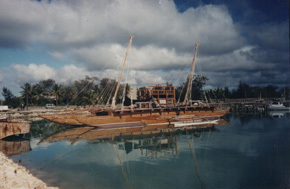 During the Millennium, the late king of Tonga, Tu’po IV’s dream, was to highlight Tonga’s significance to the world with a vessel called the “Kalia”. We have found this vessel’s’ design to be highly advanced and that it can open up the sailing world to a technology that has been hidden in time. We have observed that the art of their seafaring knowledge needs to be reignited by building up the interest in all the Tongan people, especially the youth in order to embrace their culture once again as the late king of Tonga Tu’po IV intended to do with his dream of highlighting his nation through the great achievements of his ancestor and give Tonga its’ place in maritime history and tourism to the world by building his magnificent vessel, the Millennium “Kalia”. America’s Cup Challenge and World Speed Record – In life, we rarely come across a true “David vs. Goliath” story that grabs us out of our seats and leaves us forever changed. Oracle might be considered the untouchable “Goliaths” of the oldest trophy in the world, “The America’s Cup”, but the tiny Kingdom of Tonga is the oldest sailing culture in the world and still holds the key to sailing innovation. Mark Belvederes’ (Owner of Treasure Island Eco Resort Tonga) camber induced sail he invented holds 12 out of 16 speed records since 1984. He has taken the design advantages of the kalia, proa, drua, lia, which are the names used for a shunting vessel throughout the Pacific region and has built a high-tech version of this shunting vessel based on the ancient Tongan design for the world speed record attempt. So far, he has achieved two to three times wind speed, which is phenomenal for a sailing craft. This high speed proa is featured at Treasure Island Resort.